Rubber roofing in general is a great roofing solution. It’s a lightweight solution, easy to maintain, and an extremely durable choice for many businesses. The lifespan of your rubber roof comes down to whether or not it receives the proper care and maintenance it needs to function effectively. Eric B. Mast Enterprises looks at your commercial rubber roof and sees it as an investment asset for your business. Our staff strives to help you get the most money out of your rubber roof. Negligence and poor service are the most common causes for rubber roof repair. Eric B. Mast Enterprises will use our 20+ years of commercial roofing experience to further your rubber roofing investment. Our members are consistently trained to be able to utilize the latest roofing innovations and will use this knowledge to vastly improve your rubber roof. 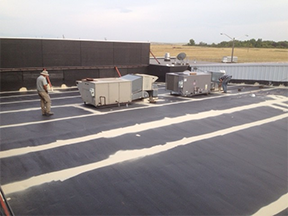 If you would like to learn more about how Eric B. Mast Enterprises can greatly benefit your commercial rubber roof, call us today at (804) 357-8038. We look forward to bring your rubber roof one more step closer to performing in a brand new way. When running a company, many commercial business owners try to minimize expenses to maximize profits. Your commercial rubber roof is essential to the success of your business as it protects you, your employees, and your equipment. It also keeps the interior of your facility cool and comfortable, which increases productivity. 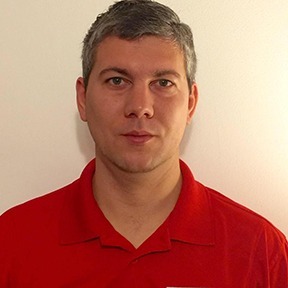 However, due to this money-saving mindset of business, many facility owners will cheap out on addressing rubber roofing issues or attempt to do it themselves. Repairing commercial roofs is not for the faint of heart and it takes of years of experience and training to be adequate in the profession. By attempting to fix your rubber roof issues yourself, you risk doing the job wrong and harming yourself in the process. There are only so many days in an hour and if you’re spending a good portion of your day trying to repair your rubber roof in an amateur fashion, you will waste a lot of time. Professional contractors have the training to be able to get the job done promptly. A roofing project, if not done properly, could have your business down and out for a few days. 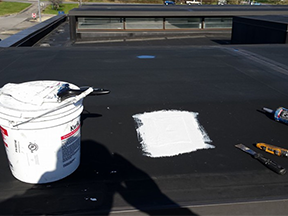 If you work with a qualified and skilled contractor like Eric B. Mast Enterprises, we can get your rubber roof repaired with minimal disruption to your business. If you want a commercial roofing contractor that will fight for the advancement in your rubber roof’s performance, Eric B. Mast Enterprises is the company for you. Call us today at (804) 357-8038 to schedule a professional evaluation of your rubber roof. Afterwards, we’ll provide you with an on-site report and estimate of your rubber roof’s current status. We look forward to speaking with you.